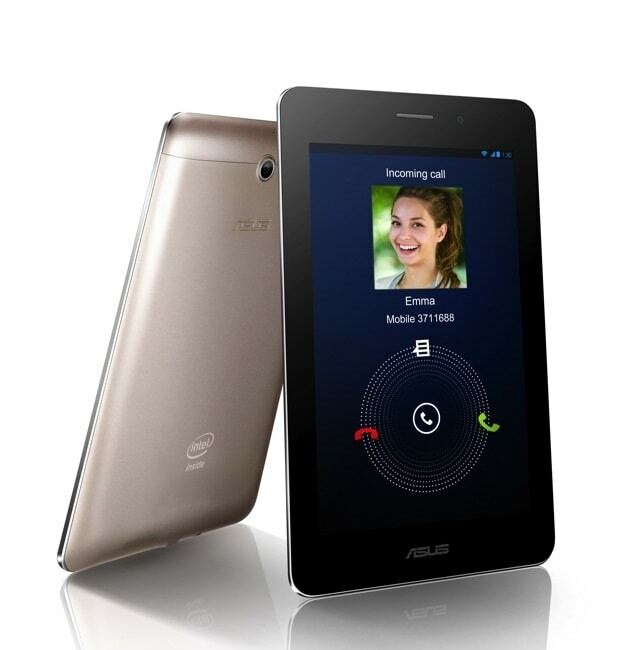 Asus has just unveiled their newest smartphone at Mobile World Congress in Barcelona. The FonePad takes the current rage for phablets, smartphones with 5" or larger screens, to its logical conclusion: giving a 7" tablet the ability to make phone calls. This 7" tablet is running Android 4.1 Jelly Bean, of course, but not on the usual ARM CPU. 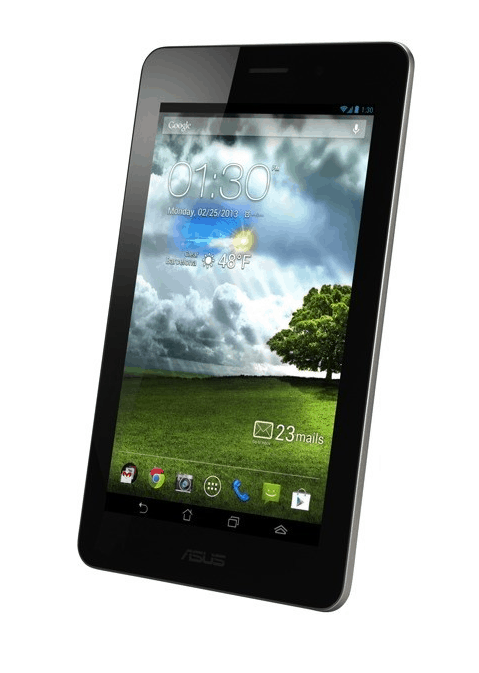 Instead the FonePad is running on an Intel Atom Z2420 CPU with the clock speed of 1.2GHz and backed up by 1GB of RAM. Screen resolution is 1280x800, and in addition to phone and HSPA+ data connectivity this tablet also has Wifi, a noise cancelling microphone, and a 1.2MP camera on the front. In terms of storage this tablet ranks in at a solid mid-field with 16GB of space as well as a microSD card. The battery is rated at 4.2 Ah, and battery life as a tablet is expected to be around 9 hours. There is also evidence that this tablet has a 3MP rear camera, but the early hands on reports disagree. The FonePad is expected to retail for £179 or 219 euros when it hits the European market some time between April and June of this year, and that could be the FonePad's strongest selling point. You average phablet can retail at 400 euros or more. Sure, they're more smartphone like and possibly more polished in terms of software, but the lower cost of the FonePad is going to put it in an entirely different market niche. And then there's the CPU. I'm going to keep an eye on the FonePad just because of the CPU. The Intel Atom Z2420 is capable of running a full Windows 8, not just the more limited Windows RT, and that means with a little hacking we could have a $250 7" Windows 8 tablet on our hands. Which begs the question why, and why now? Since certain IPADs have the capability to connect to the internet using cellular technology, aren´t they also 9+ inch tablets that make phone calls, or there is technical difference? “What about play store compatibility – I ran Android X86 on and older asus netbook and while it did run and it was very very fast, there wasn’t much in the way of compatibility since everything is written and compiled for ARM architectures. Huh? If the OS is Windows 8, then Win 8 apps would be supported naturally by the OS itself. Has nothing to do with the proc…..
OR do you mean would it run droid apps? Patching and porting to allow integration of various drivers//appz n progz scripts so that a droid based OS has the ability to run various hardware protocols isn’t really relative. It would be the exact opposite, IF, you wanted to run droid apps on a Win8 device. Then patching would just be to emulate the secondary OS that was only going to run apps and progs within the primary OS. Droid x86 and emulation aren’t actually the same thing, although, you use emulation once the system is “programmed” and functioning. RT allows emulation, where as, droid x86 removes the need to emulate.